Oscar betting has become more popular in recent years with more and more sportsbooks offering Academy Awards show odds. You can bet on all types of nominations from Best Picture to Best Screenplay to Best Actor/Actress. The Oscars will air on Sunday, February 24 on ABC. Besides watching the red carpet pre-show to see who’s wearing what and watch Michael Strahan ask snowball questions to various celebrities, making wagers on the Oscars can be a fun way to enjoy the broadcast. 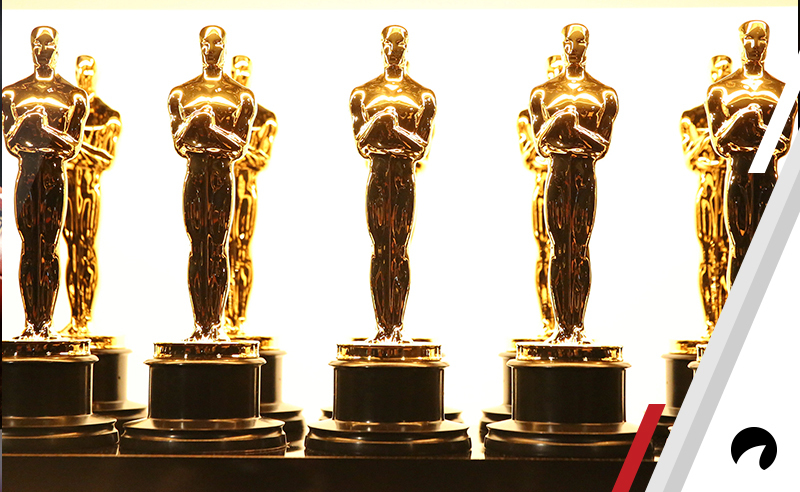 We’ll explain how to bet on the Oscars and give you a list of sportsbooks that have Academy Awards betting odds. Roma is the favorite in this category and the other films are the underdogs. Favorites have a minus sign (-) beside their odds and underdogs have a plus sign (+). If you were to bet on one of the underdogs like BlacKkKlansman and wagered $100, you’d get $1,500 if that movie won. You do not have to wager $100. You can wager whatever you want. It’s your money and if you’re lucky, you can correctly predict which film will win Best Picture and get paid like The Rock – he’s worth about $220 million. Check out our Odds Calculator to see how much you’d win based on your betting amount. Roma leads the pack with 10 nominations, with Vice following closely behind with eight, and A Star is Born comes in third with seven Oscar nods. Generally, when a film scores multiple nods, it’s a safe bet that it’s going to win at least one of them. However, this year, two films with multiple nods have been mired in controversy: Bohemian Rhapsody (five nominations) and Green Book (five nominations). Both are facing their share of backlash – Bohemian Rhapsody due to allegations of abuse against director Bryan Singer and Green Book because the family of Don Shirley (the film’s protagonist) says the majority of the details in the film are fabricated. These two films are nominated for Best Picture and Best Actor. AMPAS voters could see these films as stay-aways and vote for Black Panther or BlacKkKlansman instead. Besides betting on which actor or actress will win in their respective categories, there are Oscar prop bets you can make. A prop bet is a wager that isn’t directly related to the Academy Awards prizes. For instance, you can bet on how many times Trump will be mentioned by presenters and winners on stage. You can also bet on how long the ABC broadcast of the show will last and if any of the winners will be bleeped during their acceptance speech. Betting on awards shows is considered riskier than betting on sports – such as football – because handicappers don’t have as many stats and betting trends at their disposal. You can see if the Patriots covered the spread the last time they played the Cowboys, but you can’t see how many members of the AMPAS organization cast their votes in favor of Lupita Nyong’o. That doesn’t mean that you shouldn’t try your luck. Even if you’re a novice bettor who’s never wagered before, you can still make smart bets on the Oscars. We have a complete rundown of the 2019 Oscar odds that you can use as a guide. Now that you can understand awards show odds and have a better idea of how to bet, you’re ready to sign up at a sportsbook. You’ll need your credit card, stash of Bitcoins, debit card, jar of pennies you’ve been collecting since you were 10 or whatever currency you’d like to use for the deposit option. Any of the sportsbooks we recommend on OddsShark are secure, safe and generally offer awards show odds for most of the major prizes. There isn’t always a clear betting field. If someone has given what Hollywood calls a “tour de force performance,” they’re probably going to win their award. Line shopping is important to see which sportsbooks have the best betting lines and which ones are offering reduced juice on their awards show odds. Some sportsbooks have lower betting limits on the Oscars since it’s not as lucrative for them as it would be if you were wagering on an NFL game. Upsets happen. Large underdogs often take home top prizes, like when Mark Rylance took home the trophy for Best Supporting Actor for Bridge of Spies at the 88th Academy Awards even though Sylvester Stallone was the heavy favorite for Creed. Stallone was robbed. See as many of the movies as you can. This is the best handicapping you can do when it comes to the Oscars. The Golden Globes, SAG and Critics Choice awards are clear indicators of who will win Oscars. For instance, the Academy Award for Best Director has been won 37 times by the same person who won the Golden Globe.